As close to a New Moon as possible, 3 hours after sunset. If this timing is difficult you can work this magick at any time as long as you are doing the work at a waxing or full moon. Put as many as these herbs as you can find, in a green piece of cloth and tie it with string. Bless my Circle with life and Your magick touch. 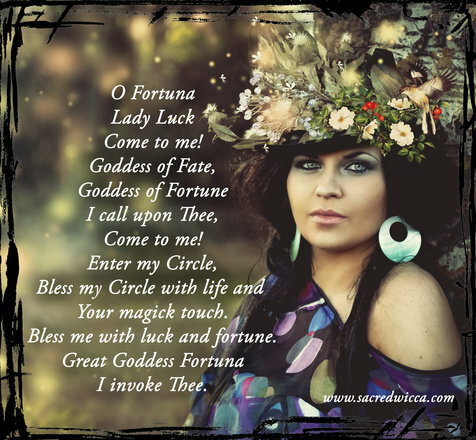 Bless me with luck and fortune. I call and summon Thee. Drop it into a cauldron or fireproof container and let it burn. Now draw a money or fortune rune on the paper such as Gebo, a dollar sign etc. Seal the jar and put it away in a safe place.